We know that processes, change and improve over time. You will get requirements in bursts. Sometimes small feature requests need immediate attention even if they may not be critical as this improves user delight. The whole MVP (minimum viable product) concept is to get going with basics and then get user and process feedback to help you plan and prioritize functionality updates. At Thinqloud we understand this and hence have created support and implementation packs that are affordable and flexible to use without putting pressure on you. 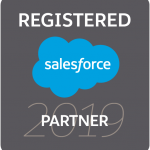 After the basic implementation of Salesforce® using in-house skills or by a partner there is a constant need for tweaking the application, modifying operation processes, customizing working environments, integration and scaling up use of the application. Requirements most often come in small bursts. It would take way more time and cost if you decided to do it in-house. Smaller implementations may not justify the cost of retaining such talent in-house. It is also important to know what features can be used out of the box with some basic configurations and how the base features should be used when custom developing features so standard functionality works the way it is intended to. Lets schedule a brief conversation!